In case you’ve been living under a rock this weekend, Pippa Middleton married her beau in a lavish ceremony, and it was everything. Not only did her older sister Duchess Kate look pretty in pink, but Pippa’s lace wedding dress was the loveliest thing we’ve ever seen. Looking back at Kate’s nuptials, we’re guessing the Middleton clan has a thing for the lacework. Because, both sisters rocked it and made the most beautiful brides ever. Prince William and Prince Harry both attended and looked mighty dapper, as you’ve probably already suspected. And of course, Prince George was suited and booted in his ceremony’s best, as well. 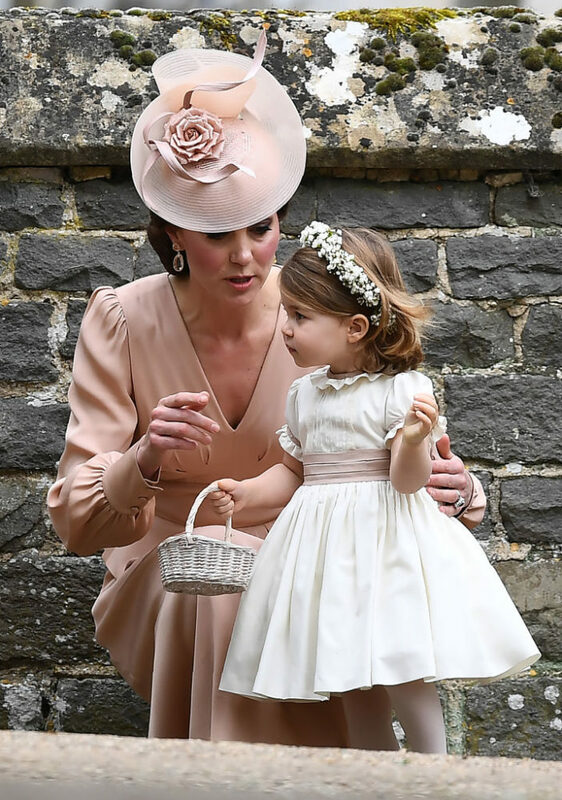 But, the best part, was none other than Princess Charlotte and her adorable flower girl-esque get up! The little lady held her own in her aunt’s mini wedding party, for sure. It’s just something about seeing a toddler in a miniature bridesmaid dress that puts us in the feels! We’re so happy the two year old royal was apart of the festivities. She was the cutest part about the whole thing. 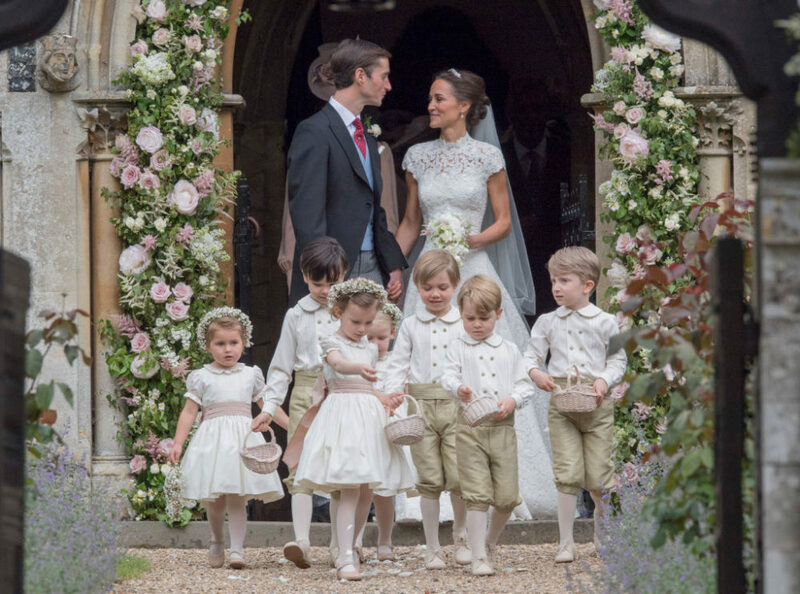 Just one look at Pippa Middleton’s tiny wedding party, and you’re sure to melt. 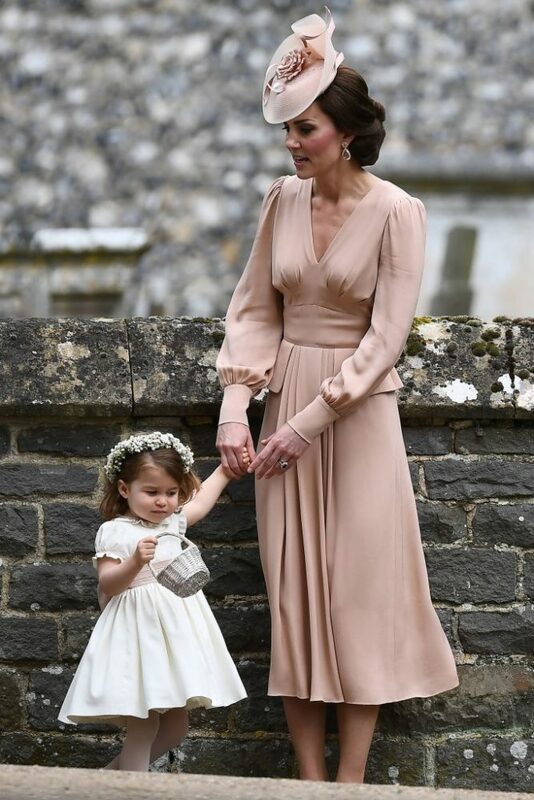 Catherine, Duchess of Cambridge looked stunning in her blush pink ensemble. And take a look at Prince George and Princess Catherine’s adorable ‘fits! They’re all so well put together. Princess Charlotte totally stole the show, however. And we can’t get enough of her cuteness. OMG! That tiny basket and baby’s-breath floral crown totally did us in. We know, we know. All of the photos are totally giving you baby fever too, huh? You can bet there are a gazillion more adorable pics to choose from, but we’ll just go ahead and end them here. Her chunky cheeks. Her ridiculously cute ensemble. And her teeny, tiny dress shoes. It seriously doesn’t get any better than this.